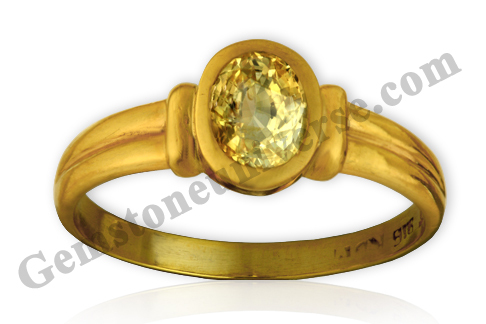 Comments Instantly attracting lustre and a distinctive Butter yellow color in this beautiful Yellow sapphire from the mines of Sri Lanka! 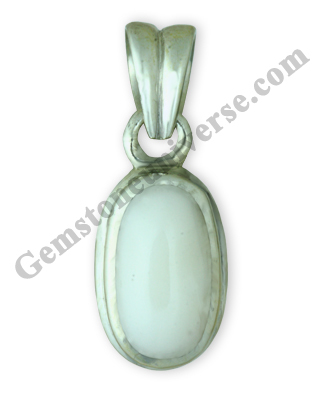 Being untreated and fully natural and eye clean this gem represents the Sattvik Jupiter energies! 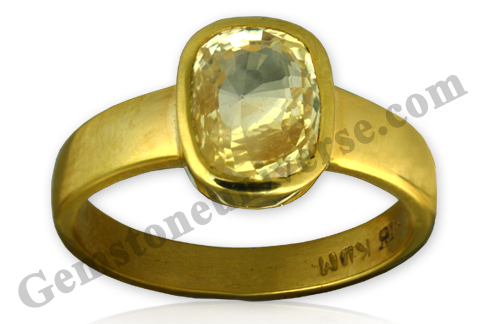 Such a huge size is a rarity for a fully natural gemstone. 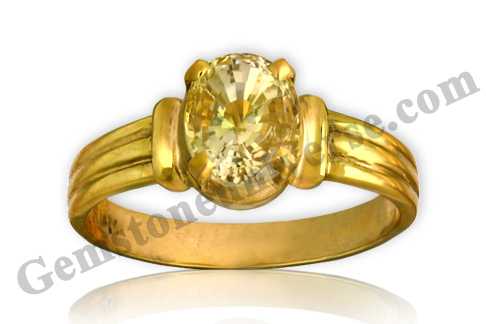 The celestial energies of the most benign planet Jupiter will surely be harnessed with this gem set in a 22k gold ring! A potent talisman! 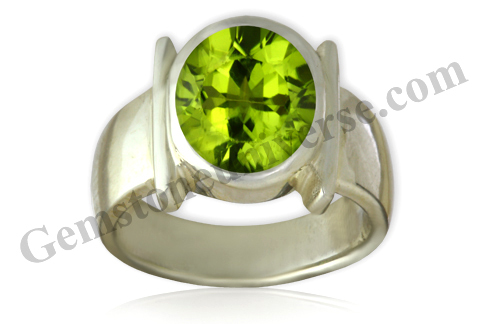 Comments The mystery of this gemstone is instantly captivating! 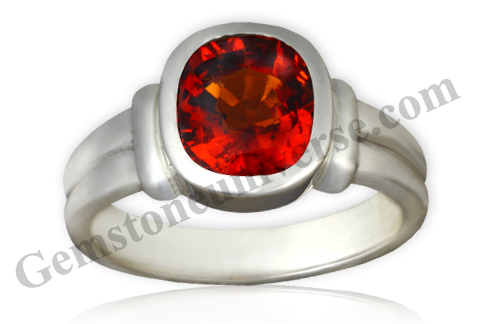 Being natural and untreated this Ceylon Hessonite is full of the warm glow of powerful Jyotish energy! 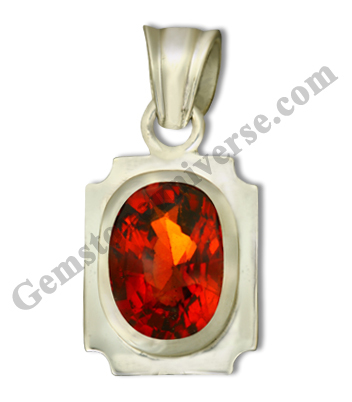 A Sattvik Rahu Talisman to benefit from the mysterious powers of the North node- Rahu! Set in a sterling silver ring! 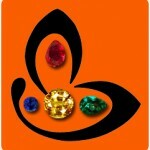 Table of Natural Emerald and Natural Colorless Topaz Gemstone Facts! Comments The most unique way to implement gem therapy, of using 2 gems of 1 carat each to reach the target weight of 2 carats! And the end result is there for all to see! Such a royal and spectacular talisman this has turned out! 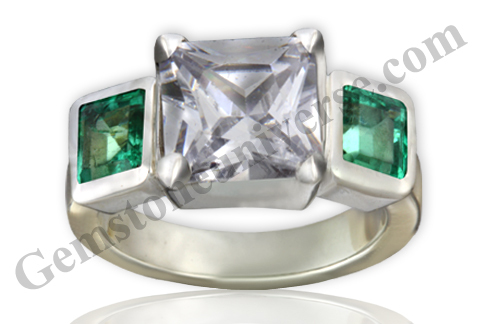 Natural Unenhanced Colombian Emeralds of 1 carat each, those are of the best spring green colour and totally eye clean! 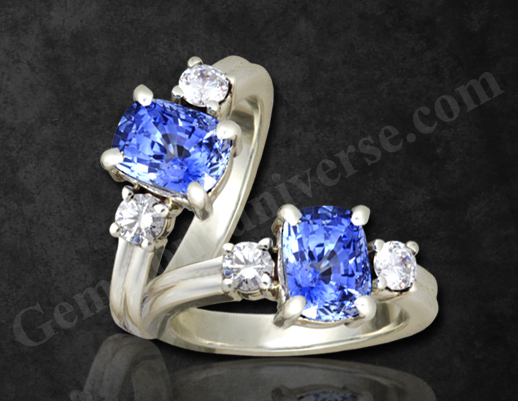 Set in sterling silver ring! The Colorless topaz, with its princess cut is looking just regal! Accentuating the beauty of this talisman, which is a Venus and Mercury talisman! 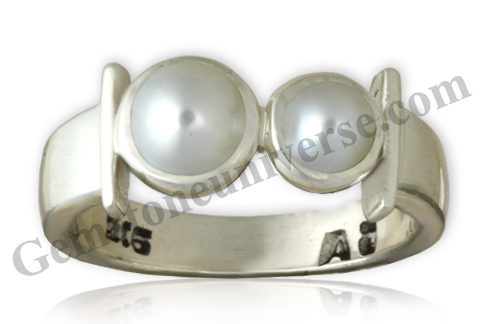 This sterling silver ring is not only a lovely piece of jewelry but also a potent and powerful Jyotish talisman! Colorless topaz the alternate gem for the planet of Beauty and Luxury – Venus!